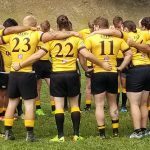 WHITE OAK, PA – After months of hard work and anticipation, the day had finally arrived when two Pittsburgh powerhouse rugby clubs would battle on the pitch one final time before forging together and moving on as one. 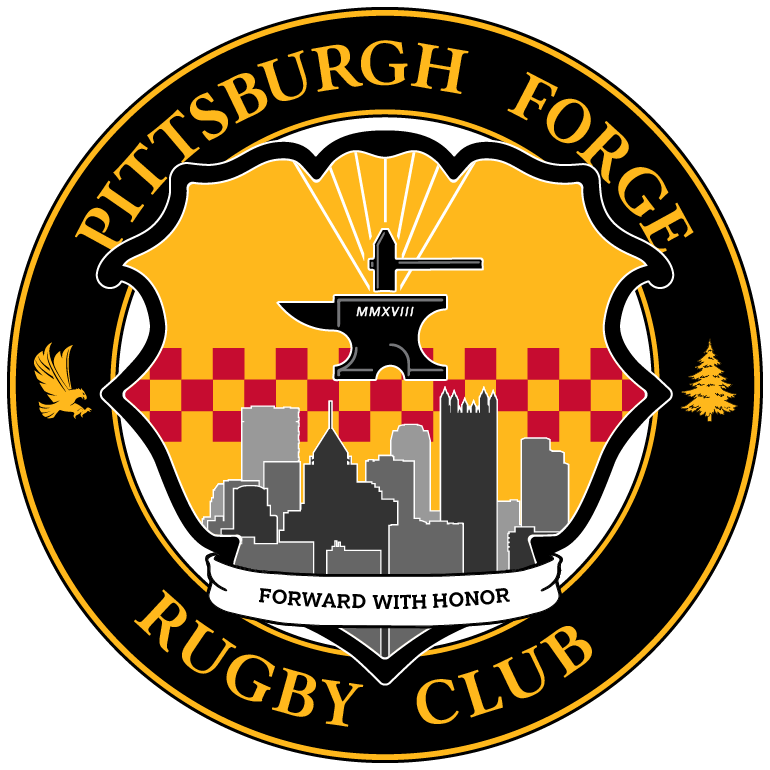 This past weekend, the Pittsburgh Rugby Club and Pittsburgh Highlanders hosted their first annual Pittsburgh Forge Club Day in order to write one last chapter in their past clubs’ history books while starting a new chapter as the Pittsburgh Forge. Head Coach of the Forge Women, Jason Edsall, talking with his players. 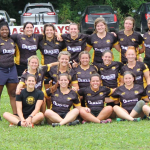 Although looking a little rough early on, the weather was warm and the sky was sunny when the Pittsburgh Angels and Highlander Women kicked off the day’s activities around 11:00 AM for their final match. The Angels would build a lead early in the first half, but the Highlander women would add a few scores of their own late in the first half and to begin the second half. In the end, however, the Highlander ladies wouldn’t catch up to their Angel counterparts who added a few scores late to extend their lead and ultimately take the final game. Following a high scoring and entertaining women’s match, the men took the field a little after 1:00 PM for their final test against one another. The heat of the day was in full effect and the humidity was rising, but that would not deter the enthusiasm from both sides. 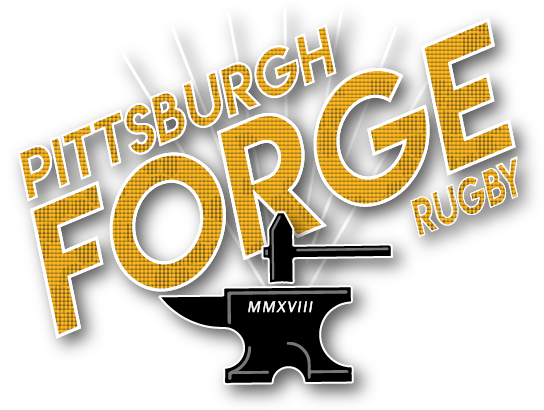 The Pittsburgh Men would jump out to an early 10 – 0 lead as they dotted down two tries, but missed the conversions. Late in the second half, the Highlanders were able to maintain some possession and score two tries of their own while converting one to take a 12 – 10 lead into the half. Head Coach of the Forge Men, Stephen Walsh, talking with his players. After the half, both clubs began working in many depth and role players to get everyone who came out ample playing time. The teams battled back and forth trading scores and great defensive stands. With time running out, the Highlanders held a slim 24 – 23 lead over their opponents before Pittsburgh was able to touch down a try and a conversion with time running out. 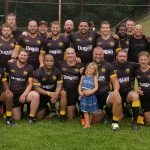 Pittsburgh Rugby Club took the win 30 – 23 over the Highlanders in a highly competitive and very entertaining match. The sky darkened as the afternoon progressed and right as the Men’s Alumni began to take the field, the rain came. The Old Boys were able to play through the downpour in what was a high scoring and energetic game. 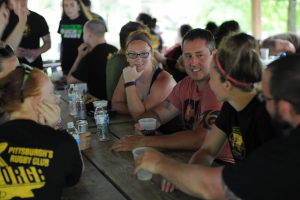 In the end, the Pittsburgh Old Boys were able to best their Highlander counterparts before the sky cleared once again and everyone moved down to enjoy some great food, beer and conversation! Forge Cake provided by player Brittany Marnell. 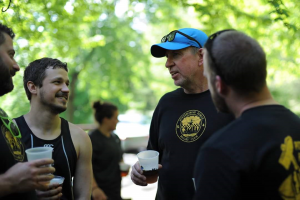 Fantastic food was provided by the club’s friends at Philomena’s Catering and served at the Magnolia Pavilion at White Oak Park. 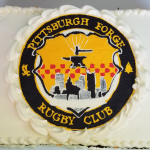 Cakes by Bee Leigh provided a wonderful Forge cake and t-shirts were made by our friends at Bee Graphix – Fredericktown. In the end, all the food and cake were gone, the beer was drunk and every t-shirt was sold out by the very hungry and enthusiastic crowd. Current players, supporters and alumni celebrated together well into the evening before capping off the night at our pub in the Southside, Rugger’s Pub.  All in all, it was a tremendously successful and exciting event. 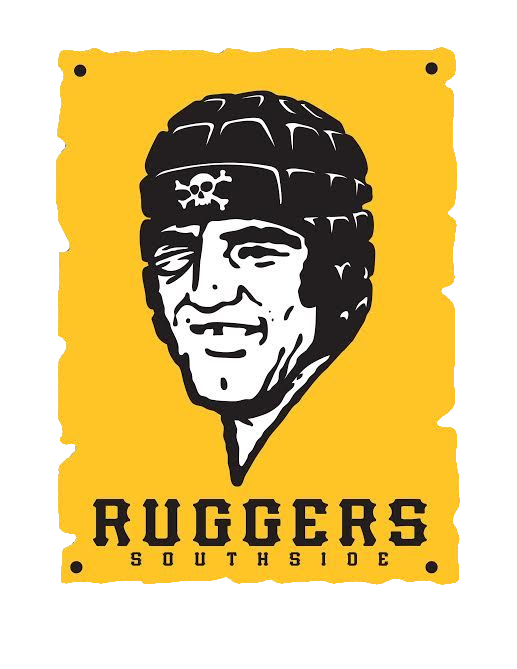 If the day has any indication on the future of the Club and Pittsburgh Rugby, we’d say we are in for some very exciting times. 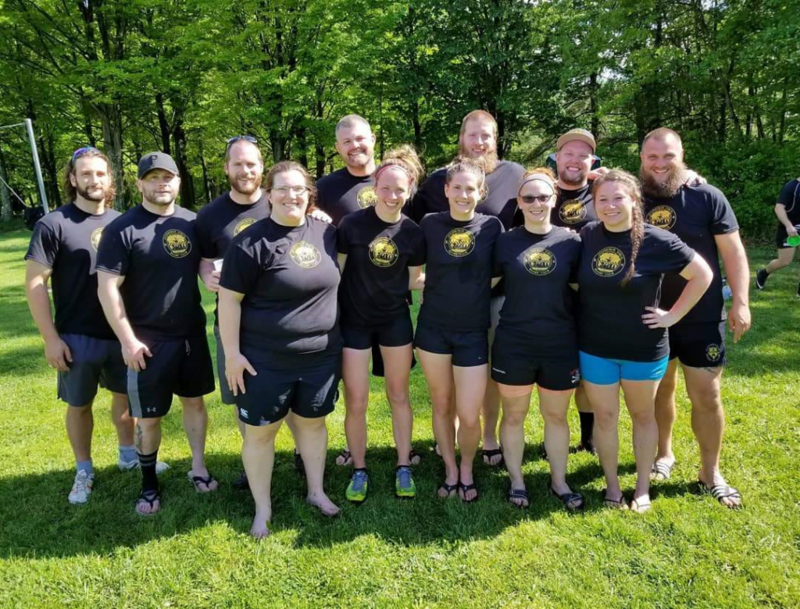 The Pittsburgh Forge Board of Directors, from left to right: Front – Angela Smarto, Brooke Gawlas, Olivia Lindsay, Gerri Russell, Kirsten Andrews, Back – Devin Zangaro, Corey Jacobs, Neil Reynolds, Chris Austin, Andrew Chapman, Bill Marnell, Sam Angelo.